Recently I came across the podcast by In the Days of Noor, presented by sister Noor (right), an Islamic studies teacher from New Jersey (she also has a YouTube channel). 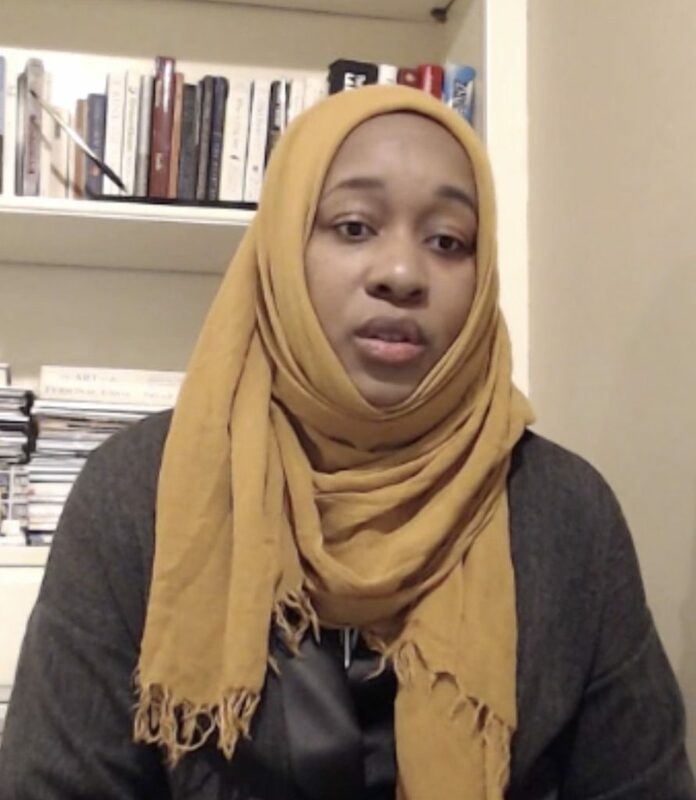 In a recent episode she interviewed the imam Dawud Walid, who works for the CAIR (Council on American-Islamic Relations) on the subject of racism and how far Muslims can engage with ‘woke’ culture when their ideologies often conflict with Islam. Both are African Americans. As long as I’ve been Muslim, there has been ample discussion on the role of race and racism within the community: the reluctance of some Muslims of immigrant Muslims to allow their daughter to marry people not from their background, the use of foreign languages that not everyone in the community speak, as well as downright racist attitudes such as that converts are not as good as them and, if young, are probably not virgins (and not for the want of trying if they are). It’s generally understood that while these issues affect converts to Islam generally, Black converts have a worse deal. Most of the time I had been Muslim, racism was defined as prejudice alone and in particular the notion of regarding one as superior to another on that basis. This is actually the official definition here; racial discrimination is racial discrimination no matter who is doing it and against whom and the use of racially derogatory terms in public is illegal regardless of who is targeted; to give one example, a Black local councillor in Bristol was prosecuted and received a conditional discharge in 2011 for calling an Asian councillor a “coconut” (i.e. brown on the outside, white on the inside). More recently the idea that racism is “prejudice plus power” and that only white people can be racist because whites are dominant has gained popularity. According to this doctrine, the same is true of hostility to men by women; because men “have the power”, there can by definition be no such thing as misandry. The doctrine seems to have originated in the USA where, in regards to race at least, it has a certain validity: very often, complaints of reverse racial discrimination are founded on prejudice or downright malice; it is assumed that a Black person who was given a job when a White person was not could not possibly be qualified and must have got it through Affirmative Action or to fulfil a quota, while states use tricks to obstruct Black people from exercising their right to vote. 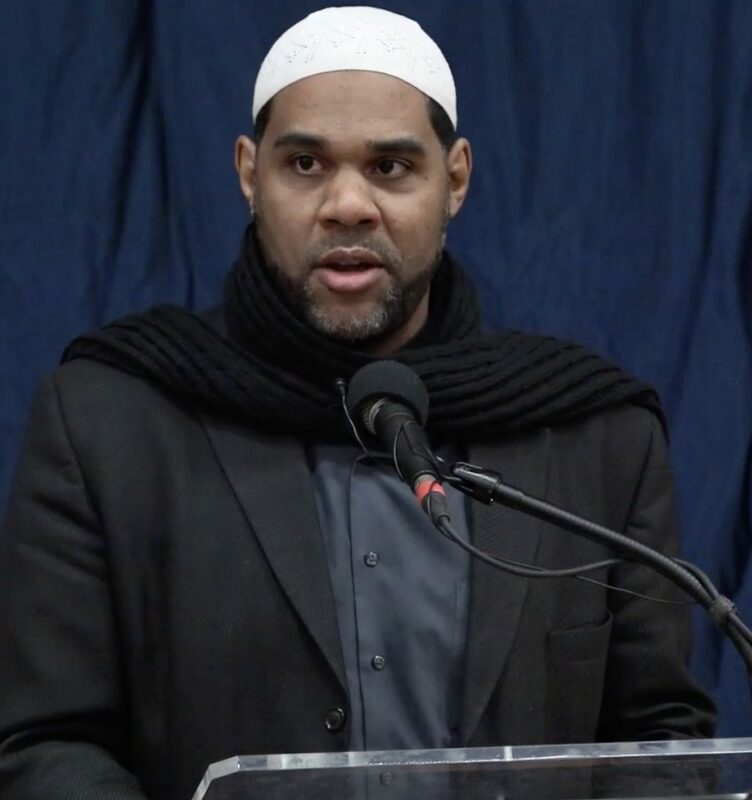 In this interview, Dawud Walid reasserts the “prejudice model” of racism, noting that in the Qur’an, the first individual to think himself superior to another was Iblees, the Devil, when ordered to prostrate before Adam (‘alaihi as-salaam). When trying to confront racism, imams in the USA have long had to confront the claims of the so-called Nation of Islam, which uses hateful rhetoric to bolster the standing of its leader, as well as the more conventionally racist attitudes of Arabs against Blacks or Whites against others. It is about building brotherhood and solidarity amongst Muslims and warning people that they may not consider themselves superior to anyone else because arrogance is a sin and because it sows discord. In the context of the Muslim community, the most pressing issue is not who is most oppressed but the need for people to feel comfortable and welcome in any mosque or indeed among Muslims generally. This cannot happen if some people are led to believe they have a licence to be prejudiced against others, regardless of what they have experienced in wider society. In any case, whether Black people can or cannot be racist is not all that relevant, because in general I have not seen these sorts of attitudes displayed by Black people; aside from Whites, it tends to be other people of colour such as Arabs and Asians. However, we now have some Muslims over-emphasising the racial hierarchy of wider society as if the same hierarchy existed in the Muslim community when it does not. I have seen some Muslims say that the idea of brotherhood amongst Muslims across racial boundaries was just empty rhetoric, but there are still some of us who believe in it — it is not just a dream of an older generation but an obligation on all of us, especially those of us who live in multi-racial societies where getting on with each other is what we need to do to survive as a community.